help us to save our baby boy! He was born on the 04/08/16 (4th of August) perfectly healthy but then he started to decline. We took him into hospital at 8 weeks old and none of us have been anywhere near home since. We have been with Charlie day in, day out & watched our poor baby get weaker and weaker, he now needs a ventilator to breathe but we have never lost hope throughout all this time! After endlessly researching and speaking to Dr's all over the world we found hope in a medication that may help him and a Dr in America has accepted him in his hospital. It hasn't been tried on anyone with his gene before (he's only number 16 in the world ever reported) but it's had success with another mitochondrial depletion syndrome called TK2 which is similar - it's helping children to get their strength back and live longer! We strongly feel as his parents that Charlie should get a chance to try these medications. He literally has nothing to lose but potentially a healthier, happier life to gain. Charlies condition is caused by a disruption in the mitochondria, the part of the cell that provides energy to his muscles, kidneys and brain. There is a new treatment available which is a nucleoside bypass therapy, which could potentially repair Charlie's mtDNA and help it synthase again by giving him the naturally occurring compounds that his body isn't able to produce. It's oral medication so nothing invasive or harmful. 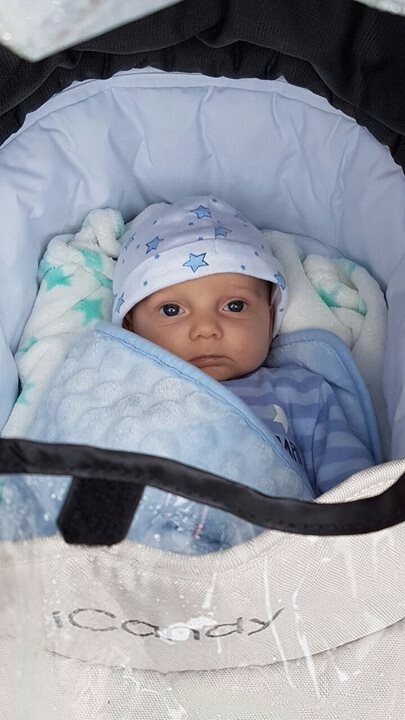 We are running out of precious time with our baby, he can't have this treatment in the UK so our only hope now is to get Charlie to America - this will obviously cost us a ridiculous amount of money, money we unfortunately don't have enough of. If we don't raise enough money then we wont be able to go to America for treatment and Charlie will die! 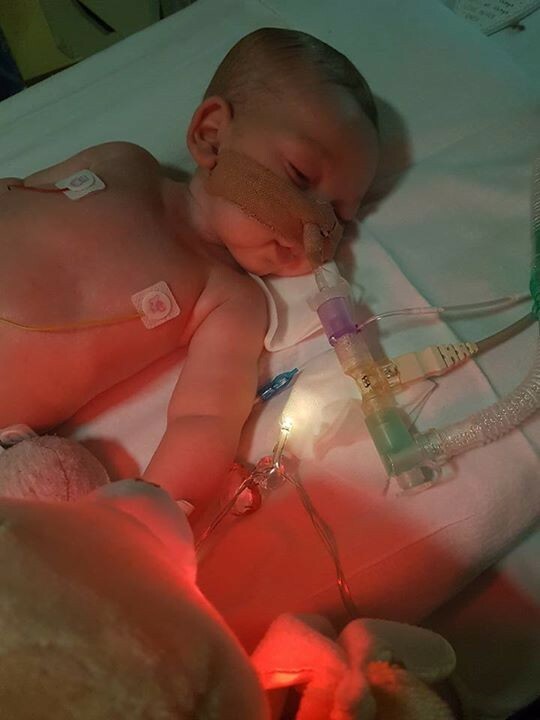 Great ormond street hospital have already taken us to court to try and gain permission to turn off our baby's ventilation which will result in Charlie's death :( They don't think it's in his best interests to go but we think it's in his best interests to have a chance to improve. The court date is April 3rd and it will be held in the high Court in London. We just CAN'T let our baby die when there is something that might help him! We won't give up on him because he has a rare disease. He deserves a chance and he deserves a life as much as anyone else. We understand that rare diseases don't get enough funding for research but why should that be a reason for a child to die?! He's here now and this could help our baby. 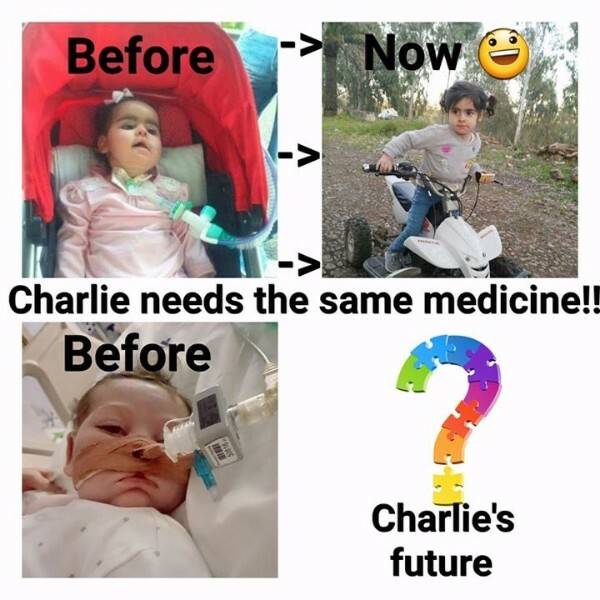 If Charlie receives this treatment and it does work like the Dr in America thinks, it won't be just Charlie's life that has been saved, it will be many more children in the future, who are born with this horrible disease and it will open up other trials on other mitochondrial depletion syndrome's. It's been 18 months since we launched our campaign to save our son's life. Thanks to all of your generous and heartfelt donations we managed to raise the funds needed, but sadly Charlie wasn't able to use those funds, and passed away in July 2017. 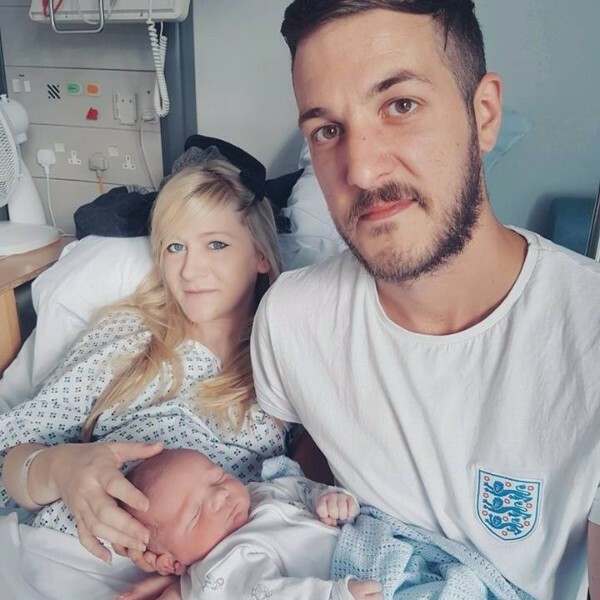 Since then, we have set up the Charlie Gard Foundation thanks to your amazing generosity, and we would like to ask you to help us with regards to those donations. We thank you all once again for giving so generously, and hope that UK residents are able to help us make our funds go further and allow us to help more individuals and families affected by mito. Since the foundation launched in June 2018 we have been busy collaborating with a variety of charities to enable us to supply a range of services to our clients. We've provided grants for items such as medical equipment, home adaptions, bespoke wheel chairs, sensory equipment, garden renovations, and also gifted memory making items such as photo shoots, family prints, hand casts, day trips, bespoke keepsakes and much more. Our beautiful Charlie has been blessed with hundreds of thousands of supporters from around the world. We are so incredibly grateful for all your continued love and support, and would like to take this opportunity to advise you of what we shall be doing with the money raised for Charlie's cause. 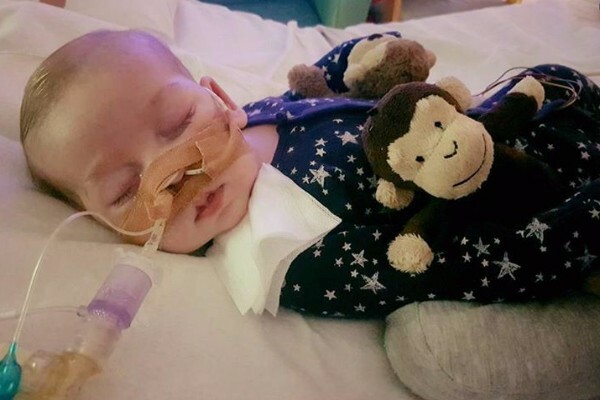 In the following weeks we will be setting up The Charlie Gard Foundation: a foundation that will help other children with mitochondrial diseases, and rare childhood illnesses. Too many children are losing their fight against rare medical conditions, which emphasises the need for more research, and we hope we can help deliver this through Charlie’s foundation. We also intend on becoming a hub of information for parents that may find themselves in a situation like ours. There needs to be more clarity for parents about parental rights when it comes to making life-saving decisions about their children. Access to medical treatment, and expert clinicians, should never be denied if funds are available. We will be looking at ways in which we can help make things clearer for families and hospitals alike. 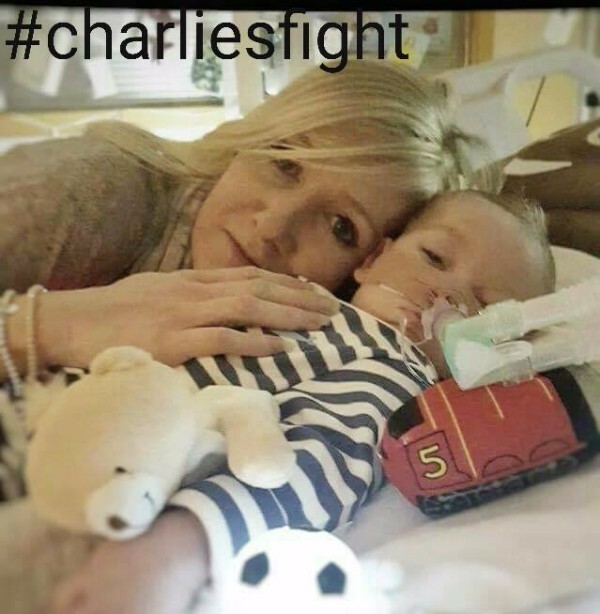 We feel that the foundation will be a lovely legacy for Charlie, and we hope that you will all continue to support us in honouring the life of our little warrior as he helps other poorly children and their families. It also gives us great pleasure to announce that gofundme.com have been so touched by our cause that they have kindly donated £10,000 towards Charlie’s foundation. A wonderful gesture from the team, and we are extremely grateful for their generosity. All existing donations from our gofundme fundraising account – and any new donations – will now go towards Charlie’s foundation. From the bottom of our hearts, we thank you all for your support. We did an interview with channel 5 here is the link if you'd like to see it https://m.facebook.com/story.php?story_fbid=1536574603033679&id=567036616654154 We did say a special thanks to everyone for your continued support! We have now applied to the European Court of human rights in Strasbourg and they are currently looking over our case. 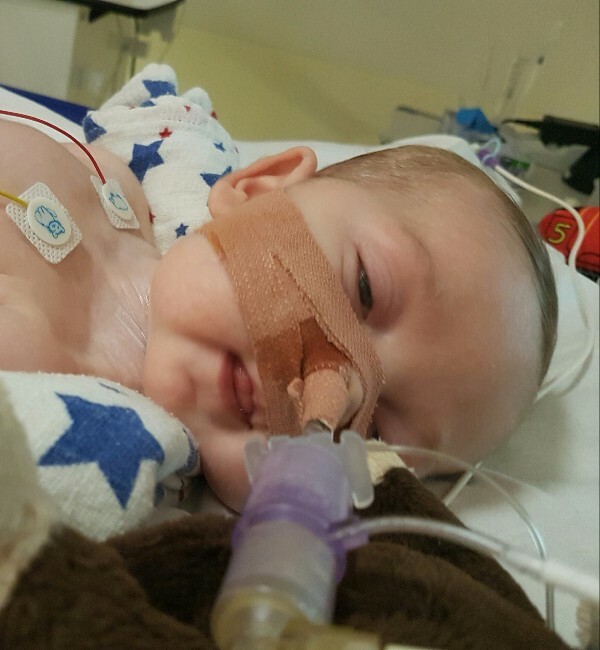 What part of the US is the hospital that will take lil Charlie? I live in KC & would be willing to let Charlie's parents stay at my home for free. There's another little boy from England in KC right now getting treatment for his cancer. This story is near and dear to me. Our daughter has a Mitochondrial Depletion Syndrome, gene unknown. She wasn't as sick as this sweet angel but to hear Drs. make statements about his prognosis is insane. IT is very common in all mitochondrial diseases to have long periods of instability and then they can stabilize. Infancy, toddler and the teen years are the hardest as they use so much energy growing. Our daughter got worse in her teen years but we found ways to save her energy and keep her as healthy and possible and she is now 21. Every human deserves the chance to live. No Dr should be allowed to decide. Hope he makes it to the states, it is up to Charlie not the Drs. For what it is worth, our daughter struggled with energy and illness more then pain. To Kristen McGee Charlie was born on 4th August 2016. In the UK we write that as 4/8/16 whereas in the US you put 8/4/16. The NHS fund our medical treatment in the UK and yes, they do go to court for permission to withdraw treatment. This is not a scam and I hope that people are not deterred from donating by the suggestion that it is! Kristen McGee - I'd do my research before starting to call a mother who is going through he worst kind of hell a scammer, and suggesting that she would make up the fact her son might die to get some money. One Google search was all it would have taken for you to find out the different ways to write the date (first grade), and about UK legislation. If your post causes even one person not to read properly and thus not donate, the repercussions of that are huge in terms of the people they could have shared it with and so forth, so I hope next time you think before you jump the gun to get yourself some attention for being 'the one that spotted the mistake'. CSI you will never be. something to think about : have his dr or you contact the Alfred I. DuPont childrens hospital in Wilmington, Delaware. u.s.a. it is on 1600 rockland road. state of the art hospital. they will accept any child under the age of 21 regardless of their ability to pay if the child can benefit mankind from their treatments, prayers they have seen a case like Charlies. when my daughter was there from may -sept. i was never sent a bill and i had room and board and food. they were wonderful. she was dependent on a ventilator, could not walk,talk or breathe on her own. she could do all of that when we left in sept. i saw children from all over the world there during our stay. i was there 24/7 with her. she was 3 at the time and she is fixing to turn 34 in april. drs here in chattanooga tn. wanted to turn off her vent the 11 th day. she was in Chattanooga childrens hospital from nov-may and then onto Delaware. thank God one of her drs knew of A.I.D.I. a private company donated round trip to us on their private jet. as soon as we arrived the drs and nurses immediately knew what was wrong with her and started treatment. we Pray for Charlie and you all. Prayers money will be raised for this precious child in the Lords name i Pray. To those individuals leaving comments on this thread in regards to Charlie's condition being caused by Vaccines: 1. You are 100% incorrect. You are posting false information on a fundraising page for a chronically ill little boy which his parents can read. You are disgusting individuals and dense as mud. To try to further your dangerous anti-vax campaign by guilting these parents is abhorrent and you are the worst kind of humans. Go and READ properly please, you have been lied to. To the parents: I am so sorry, I will be donating shortly and i wish you and little Charlie the best of luck in his goals and treatments. The doctor's told my son to have his little daughter's life support taken of, but we as a family said a very stern NO. Like you for eight longs months we sat by her side praying and hoping for her to breath, she did, thank God. She lost her battle for life at the age of three, but they were such wonderful years and she was so very loved, and is loved still. I only hope God looks down on you and your little boy, I will hold him in my prayers. God bless you all. I want to donate so bad but I don't even have a credit card yet :( I really hope the best for you. All i can offer is to share this on Facebook! Kristen mcgee this is not scan I have been friends with Charlie's mum since nursery and we went through our pregnancies together. In England if doctors want to turn life support off they apply to court. There is a baby in USA with same problems the doctors did what parents wanted because of medical insurance but in uk we are nhs which means we don't get alot of say. Hence the reason we need to get him to USA for this treatment as the doctor who has this treatment lives in USA. Doctors here was in agreement to give to Charlie but now saying no even though they have said it may work. To anyone doubting look up the facts first. Kristin I am the 1st cousin of the mother of Charlie. We live in Huntington Beach Ca. This is not a scam! We are trying to pass the word through social media to do whatever it takes to raise enough money to give Charlie a chance to get the medical care he needs. Thanks so much for the explanation guys! So sorry for the confusion.